Scott Hahn's new commentary on 1-2 Chronicles is by far and away the most important book I've read this year. Full of stunning insights--with implications for both Old Testament and New Testament studies--this book should really be on your priority list. 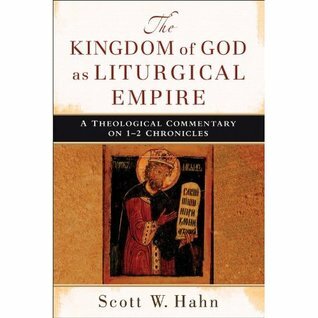 If you're familiar with the hype about Hahn's work, but never read any of his scholarship, read this title. Over the next few days I will be posting on this fine commentary. This is not going to be an exhaustive review. Instead, while giving an overview of the book, I'm going to cherry-pick some of my favorite elements. But first, a few preliminaries. . .
Scott Hahn writes two very different kinds of works: works intended for an academic audience (e.g., an Anchor Yale Bible Reference title; a treatment of Pope Benedict's work; pieces in JBL, CBQ, etc.) and popular-level material, e.g., Rome Sweet Home (Ignatius Press, 1993); The Lamb's Supper (Doubleday, 1997); Reasons to Believe (Doubleday, 2007). While this commentary is very readable, it definitely falls into the first of those two categories. In other words, if you're looking for fascinating / entertaining personal anecdotes or "punny" titles, this is not that kind of work. Yet that's definitely not to say that this book is so technical it can only be appreciated by scholars. 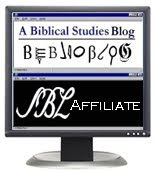 It is incredibly clear and well-worth the time of anyone is who is at the "intermediate" level of biblical studies. Now that I've whet your appetite, we're ready to begin our overview. By the way, as a proud Senior Fellow of the St. Paul Center for Biblical Theology, the organization founded by Scott, I ought to mention that you can support the Center by buying the book from this link on amazon.com. Thanks! I have to say that I was never a fan of Chronicles. Not only because the first nine chapters are genealogy, but also because the presentation of several events in the work differs from what we find in Samuel and Kings. Dr. Hahn's book gave me a new appreciation of the work. The very title he gave to chapter one of the book~dealing with 1 Chron 1-9~was both enlightening and intriguing:"A Genealogy of Grace in a Time of Exile and Restoration." I look forward to your review. Now if only Dr. Hahn would take a shot at making Judith more appetizing and enlightening. The basic message of the book~God can overcome all the forces of anti-God/anti-people of God~ interests me, but I've never been able to find anything other than booklet commentaries on the work. I have this for review. I plan to dig into it in the very near future! This is a great book. I read it this summer as well. For scholarship, it's lucid reading. Hahn almost succeeds or maybe has succeeded in making Chronicles a "canonical pivot" between the two testaments. Who'd have thought: Chronicles, the center of biblical theology?